« Media: Crazy Political Attack Ad! Today, us Vermonters read the news about some guy on Interstate 89 crashing his car dramatically because he had his eye on the fall foliage and not on the road. So as a public service, I offer some tips to the throngs of other tourists coming to Vermont this weekend, to, well, watch leaves die. Road Warriors: Like our unfortunate guy on Interstate 89, nobody is really paying attention to the road because the mountains are orange. Or something like that. Which means it’s a bad idea to stand in the middle of the road, around a blind corner, trying to catch the perfect angle for your Kodak foliage moment. 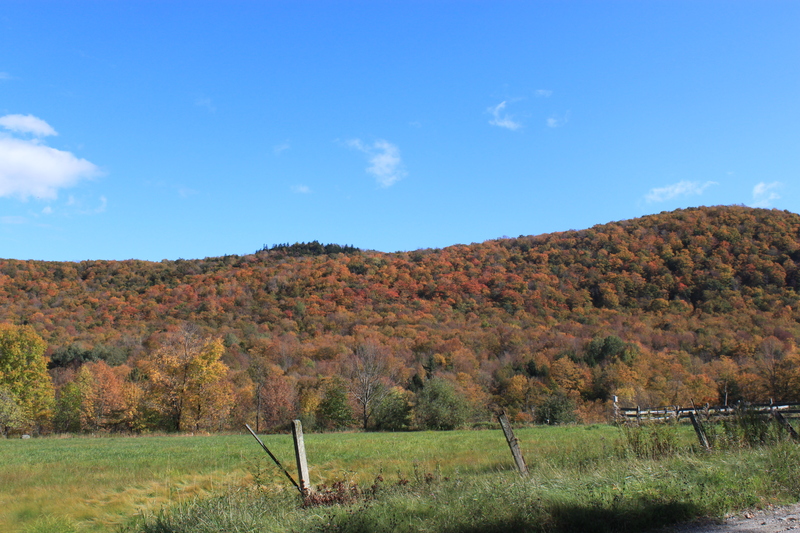 More tourist bait: A hillside full of dead and dying leaves near Montgomery, Vermont. Your Kodak foliage moment might be your last if you do that, since you don’t see the blind, elderly couple barrelling toward you in their ’91 Lincoln Town Car. Take your photos from a safe place, please. Weather or Not: Years ago, when I worked as a waiter, a customer during foliage season screamed at me in anger. No, I didn’t spill the linguine on her. She was angry because it was snowing and She. Couldn’t. See. The. Damn. Leaves. I think she wanted me to fix it. Like I can wave a magic wand and make things glorious sunny. So I was supposed to jump up on a table and appease the snow gods and make them go away? 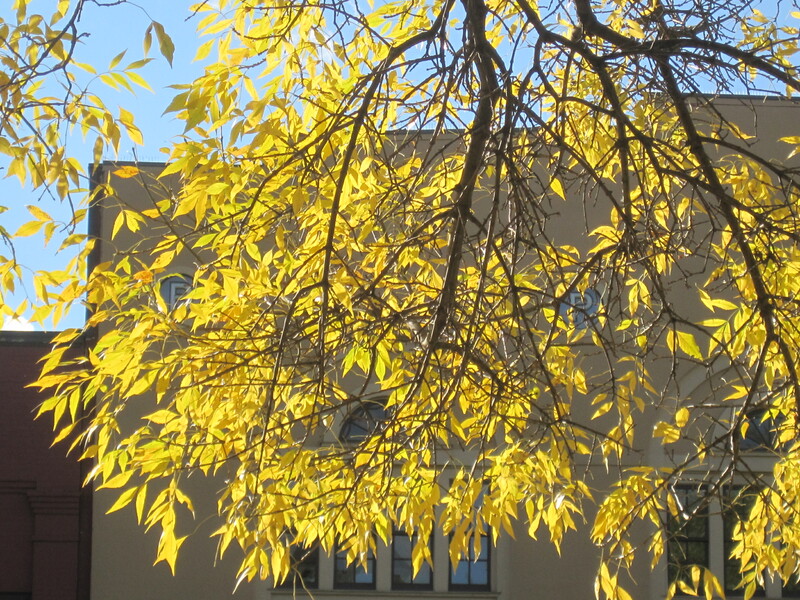 More fall foliage frames a downtown Burlington, Vermont building on Thursday. Really. Weather happens. The tourist brochures with the sunny pictures are sometimes false advertising. It rains, it snows, it gets foggy, the leaves blow off the trees. Deal with it. Be Prepared: I’m so happy you want to immerse yourself in our fall foliage season by going on a hike. The exercise and fresh air will do you a world of good. And since it’s 40 degrees with a 50 mph wind at the summit, I’m not sure that thin t-shirt and shorts will be quite enough. But maybe you’re tougher than I am. 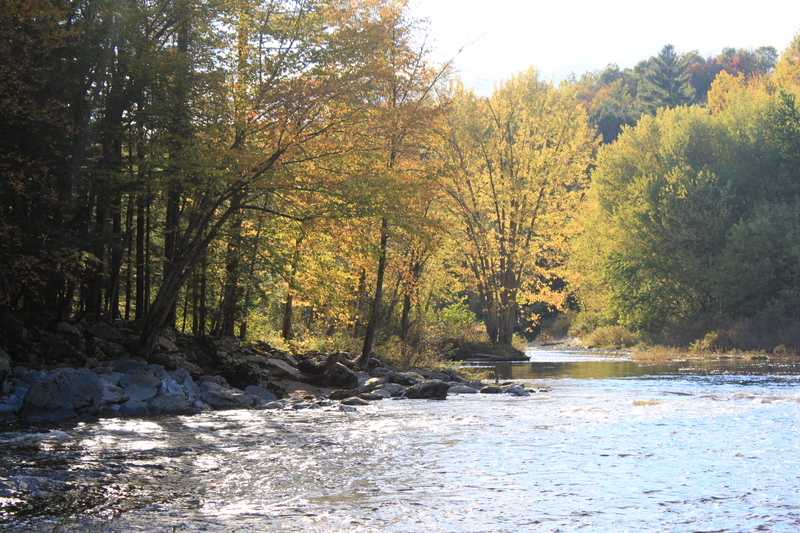 Plan ahead: You’re not the only leaf peeper in Vermont this weekend. So if you drove up here on a whim, don’t expect many accommodations fancier than the Central Vermont Flea Bag and Bed Bug Inn. And those fancy restaurants in Stowe? Listen for the gales of laughter as you demand to be seated immediately at 7 p.m. Saturday when you don’t have a reservation. So enjoy our fall foliage season. Before you leave, would you mind raking my lawn? This entry was posted on October 8, 2010 at 12:01 am and is filed under Uncategorized. You can follow any responses to this entry through the RSS 2.0 feed. You can leave a response, or trackback from your own site.